At Writer’s Relief, we’re committed to helping authors navigate the path to publishing—whether they choose traditional publishing opportunities or decide to self-publish. Some authors committed to the traditional publishing route might think self-publishing is a second-rate option. However, respect for self-publishing continues to grow within the industry—to the point that some authors are choosing self-publishing first! While the traditional route can sometimes offer more security in marketing and distribution, self-publishing offers the author more control over the whole process, not to mention immeasurable pride of ownership. If you’ve exhausted all traditional publishing possibilities or want to jump right in, here are five reasons why self-publishing may be the right choice for you. You own everything. It can’t be said any more clearly than that. When you self-publish, you don’t have to sign your rights away to a publishing house. And since you keep all of the rights from the beginning, you can decide what to do with your book whenever you want. Feel like updating the cover and putting out a new edition? Go right ahead! Want to license the title and story to a filmmaker? You can do that too! Without a literary agent or publishing house to deal with, all the royalties you receive from each sale go straight into your own pocket. With traditional publishers, the royalties an author receives might be small (and may remain that way, depending on the contract). With self-publishing, every sale you make goes directly to you. There’s nothing worse than having to wait months and months (or in some cases, even years) for your book to finally be published. By self-publishing, you can establish your own timeline. Slow down if you’re feeling overburdened, or speed up when you’ve built momentum. Your book’s publication date is only as far away as you want it to be. It’s called “self-publishing” for a reason; you’re in control from beginning to end. You have the final say on marketing platforms, the book cover, even the trim size. Self-publishing is a unique opportunity to control the packaging and distribution of your art. You created it; why shouldn’t you be the one to choose how it’s shared with the world? The time has never been more right to self-publish your book. The stigma once attached to self-published books is quickly disappearing. And there’s now an enormous support system for self-published authors, from IndieReCon to the Self-Publishing Book Expo, and more. Many self-published authors have gone on to achieve great success. Why wouldn’t you self-publish? Isn’t There A Big Risk With Self-Publishing? Self-publishing requires a lot of time, work, and commitment from the author, so it may seem to be a Herculean task. You have to proofread and edit the content, format for print and electronic editions, design a book cover, plan the marketing, and so much more. When all the “publishing” work is done, there’s still the matter of distribution and follow-up promotions to consider. Without a safety net to protect you, self-publishing—and all that comes with it—can seem daunting. 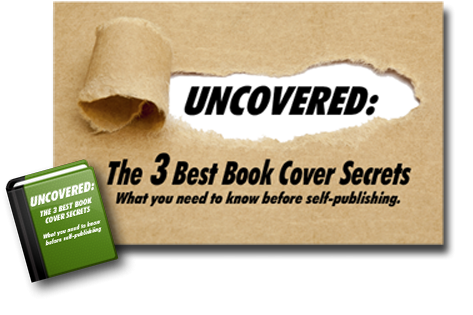 When deciding whether to self-publish or go the traditional route, you must weigh the pros and cons and decide if you are ready to take on the task of being your own editor, designer, publicist, and benefactor. If you want to go the self-publishing route but don’t know where to begin, Self-Publishing Relief can help you navigate the entire process from start to finish. QUESTION: Have you exhausted your traditional publishing options? What other reason do you have for self-publishing? I have published 4 books so far, 2 of them printed and electronic and 2 only electronic. It is besides all a self achievement and satisfaction. It is,also an Adventure, as the author must take care of the entire process. The sentiment os very rewarding.